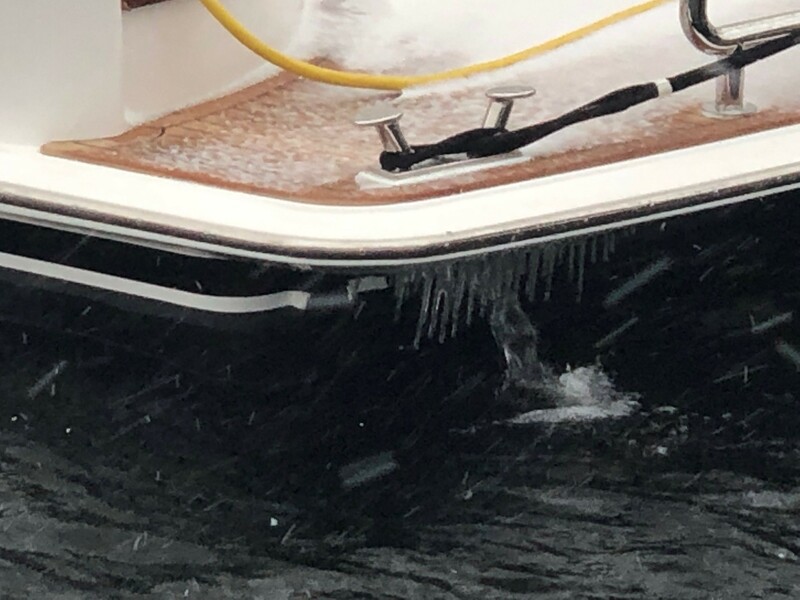 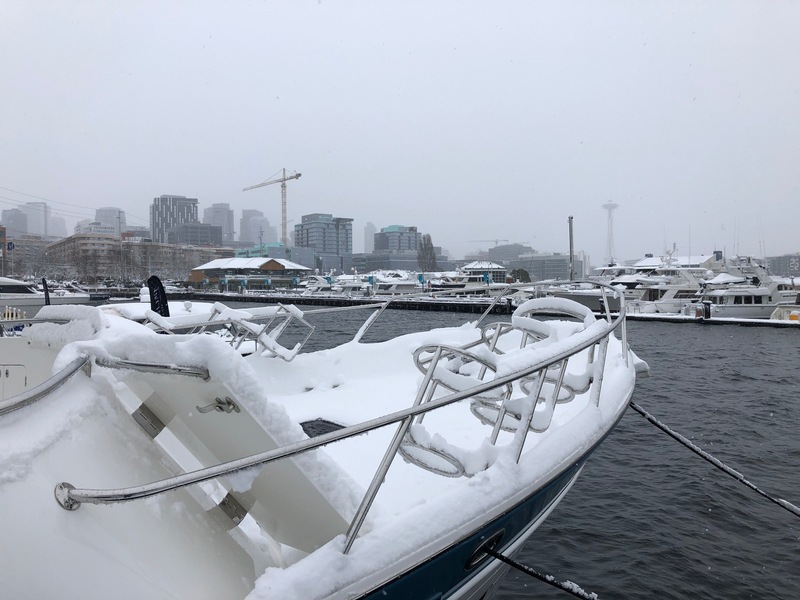 Depending on the type of cruising you enjoy, you may not associate your ideal boating day with temperatures in the 20’s (degrees), while other die-hard boaters may embrace wintery elements as long as it is safe. 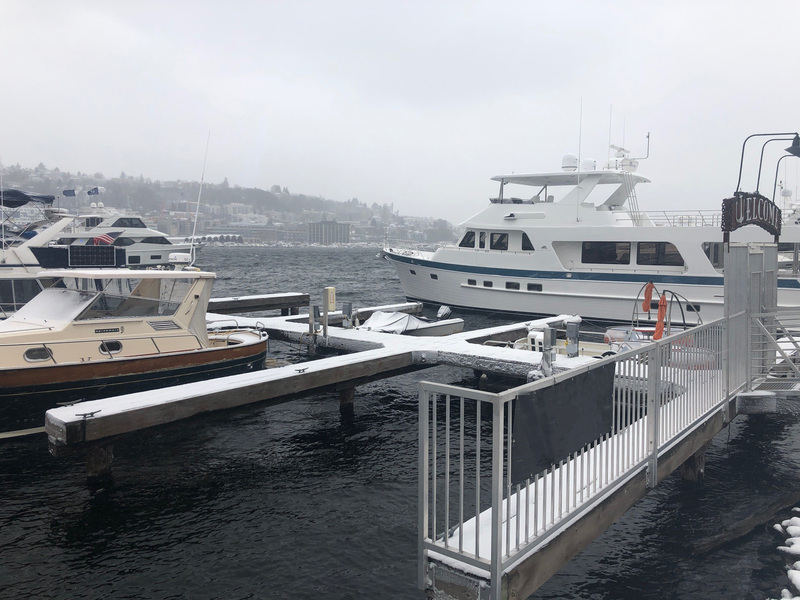 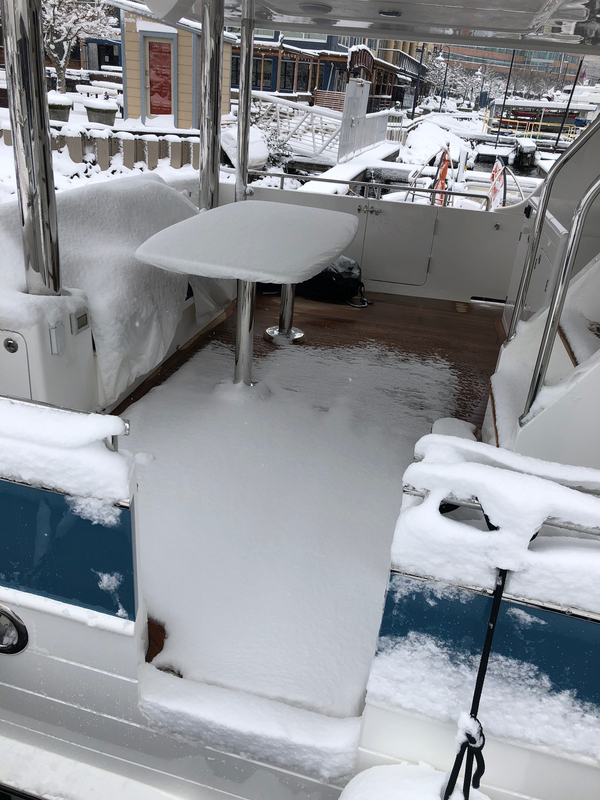 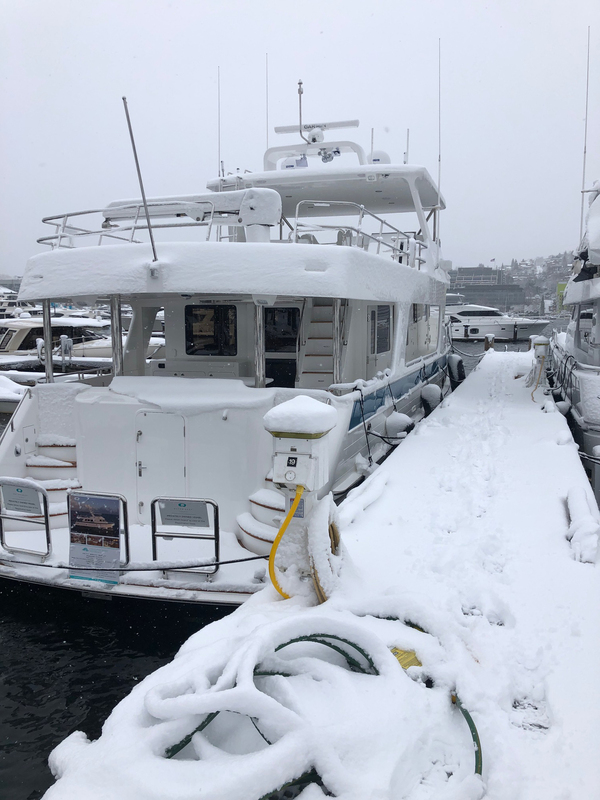 In the Pacific Northwest, salt water marinas rarely freeze over as the water will stay a consistent 45-55 degrees all year round. 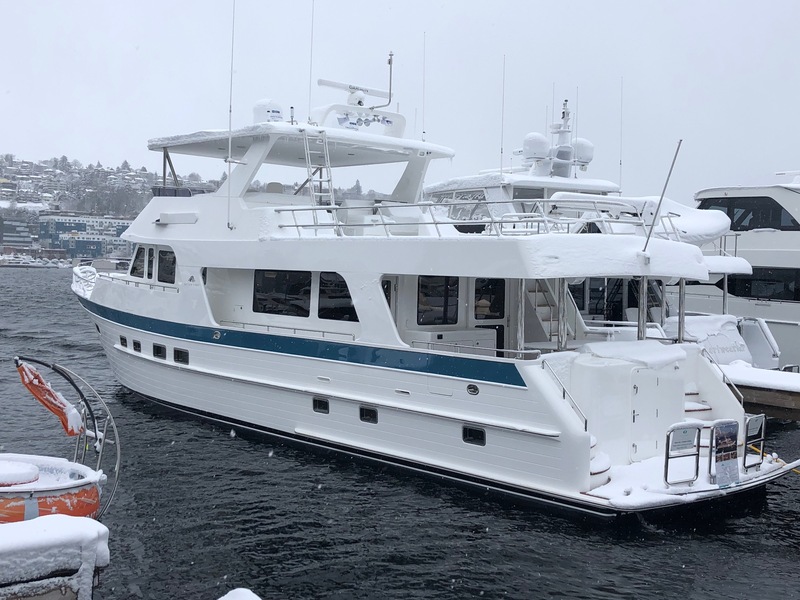 Photographed here is the new Outer Reef 700 Motoryacht "RHAPSODY", recently delivered to the Pacific Northwest and debuted at the 2019 Seattle Boat Show. 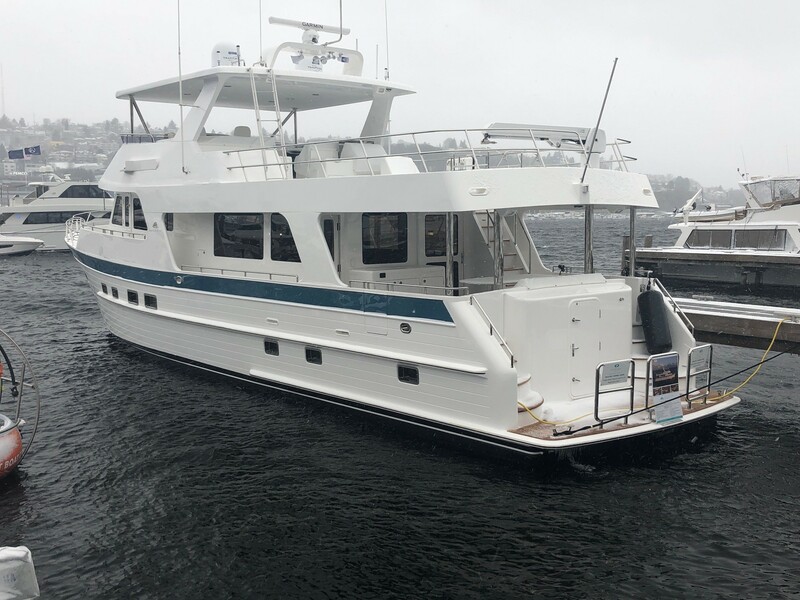 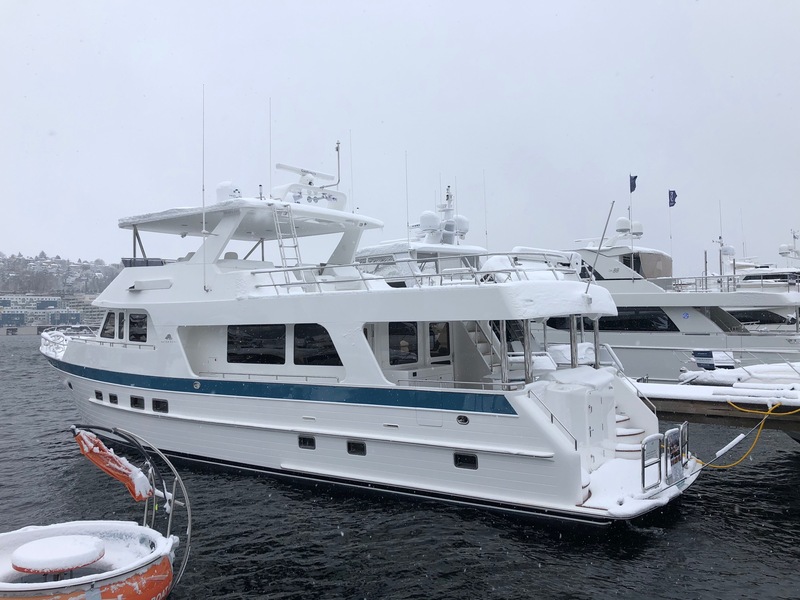 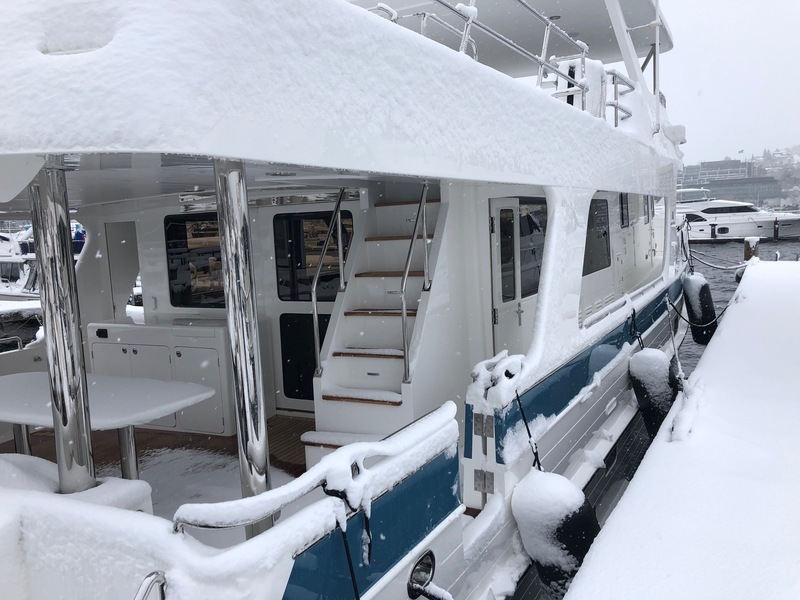 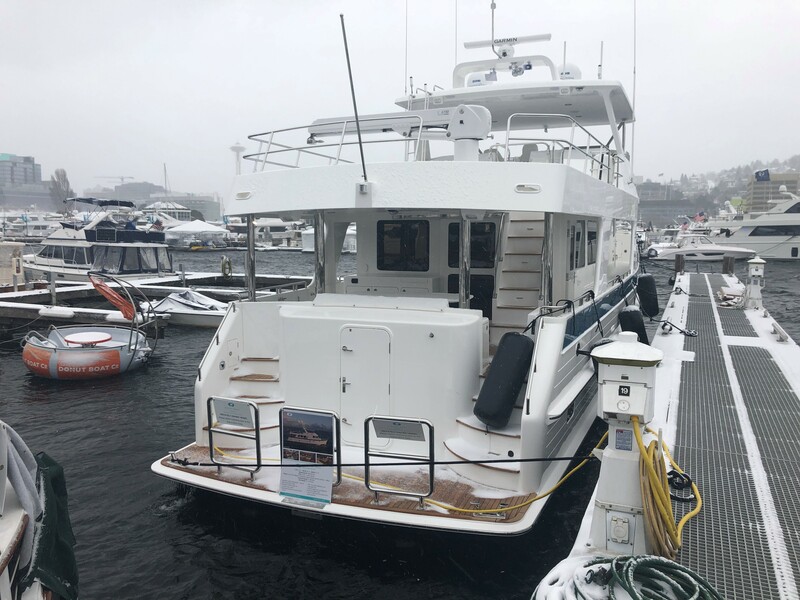 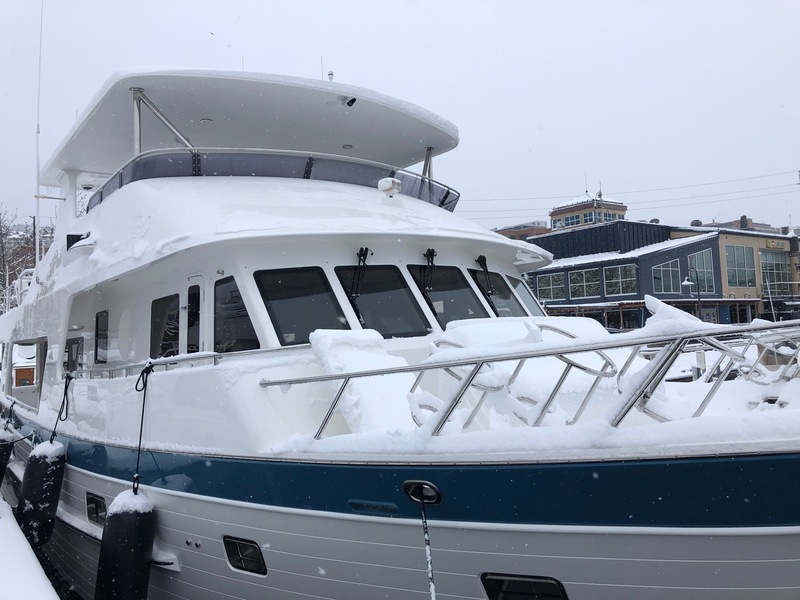 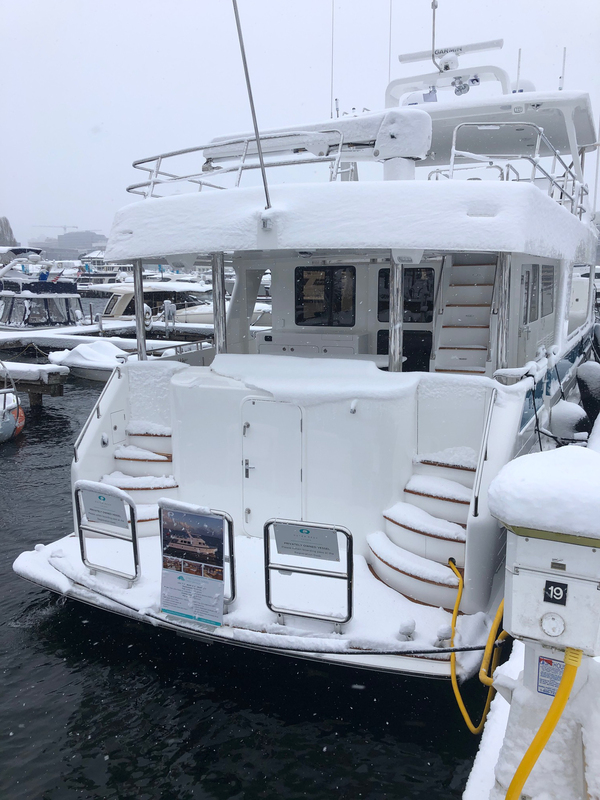 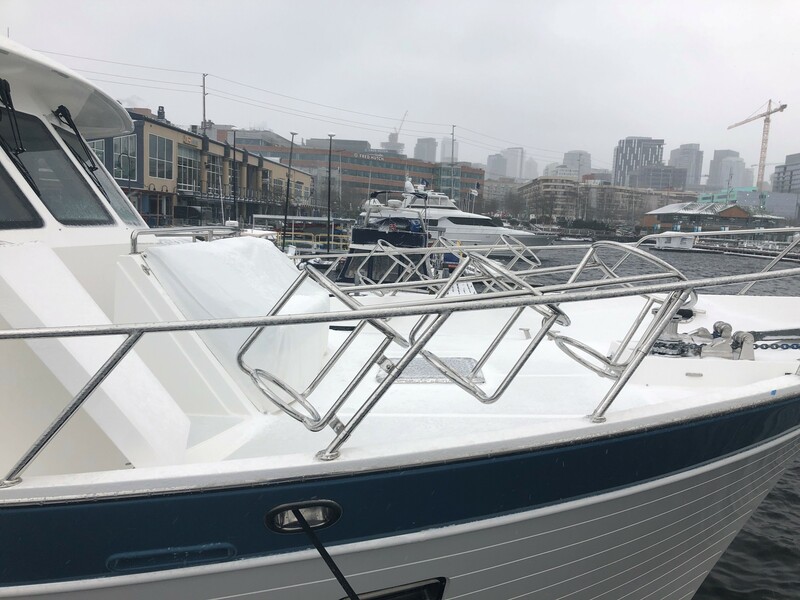 She handled the cold weather with poise, as did Outer Reef Sales Representatives Matt Maynard and Kevin Blake while moving her out of the show. 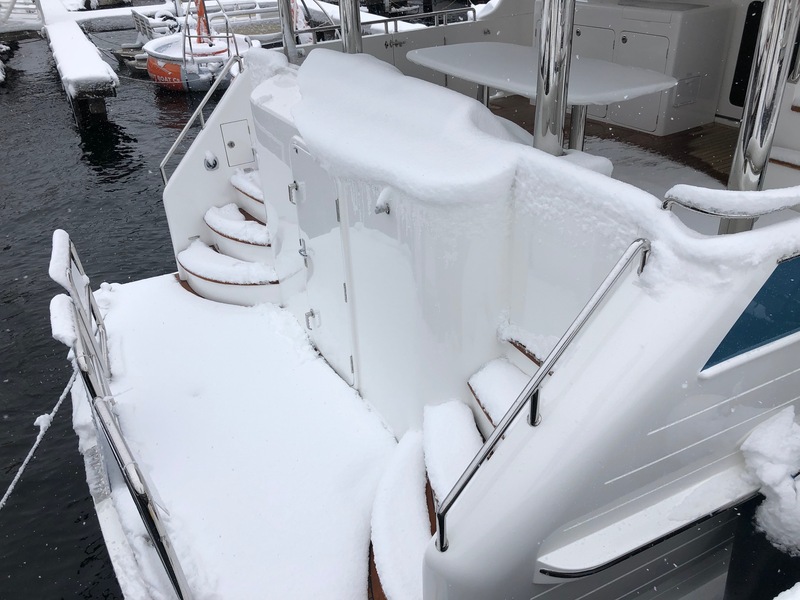 Their secret: lots of hot chocolate!